Can 30 minute conversations improve a School? Dan Butler serves as the principal of Epworth Elementary School in the Western Dubuque Community School District. He received his BA in Elementary Education and MA in Educational Leadership from the University of Northern Iowa (UNI) in Cedar Falls. Dan received an Advanced Studies Certificate (Superintendent) and is currently enrolled in the Doctorate of Education Degree (EdD) program at UNI. In the past, he served as the principal of Epworth and Farley Elementary Schools simultaneously for 4 years focusing on positive relationships with all members of the learning community, high impact instructional techniques, building leadership capacity in others, and establishing successful school cultures. Dan continues to learn, grow, and contribute to education by presenting at local, state, and national conferences about digital leadership, 21st century public relations/communication, continuous improvement, positive psychology/employee engagement, and developing leadership capacity. Dan has received a number awards and was most recently recognized as the University of Northern Iowa Educational Leadership Legacy award winner and 2017 bizTimes.biz Rising Star in the Dubuque area. He serves as the co-moderator of Iowa Educational Chat (#IAedchat), a weekly Twitter forum held on Sunday evenings at 8:00 CST focused on the latest trends in education. 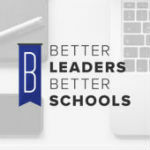 Dan has published various articles to Principal Magazine focused on digital leadership, literacy, and productivity. When not at school, Dan enjoys spending time with his family and friends, reading, watching and participating in various sports, and attending a variety of events within the Western Dubuque School District. Dan and his wife, Johna, reside in Epworth with their two sons, Mason and Nolan. Do you feel a sense of accomplishment at the end of the day?